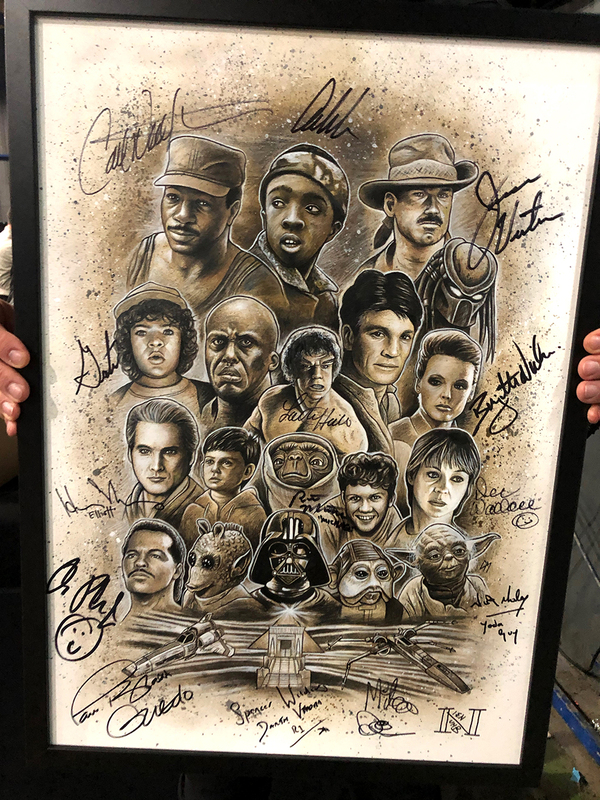 Official poster for the event ‘For The Love Of Sc-Fi’ signed by all of the guests ready for auction. Medium: Acrylic paints on artboard and Photoshop. By Craig Mackay.